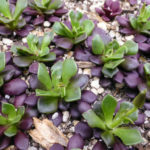 Anacampseros rufescens is a small, perennial, succulent plant up to 4 inches (10 cm) tall, with olive green, narrow, pointed leaves arranged in a spiraling rosette. In shaded or partially shaded positions the leaves are olive green in color, while in sunlight the leaves are a dark reddish-brown to purple. As the plant matures and produces more rosettes, it spreads outwards to form a small mat and develops a thick, caudex-like base from which smaller roots serve to anchor it into the soil. 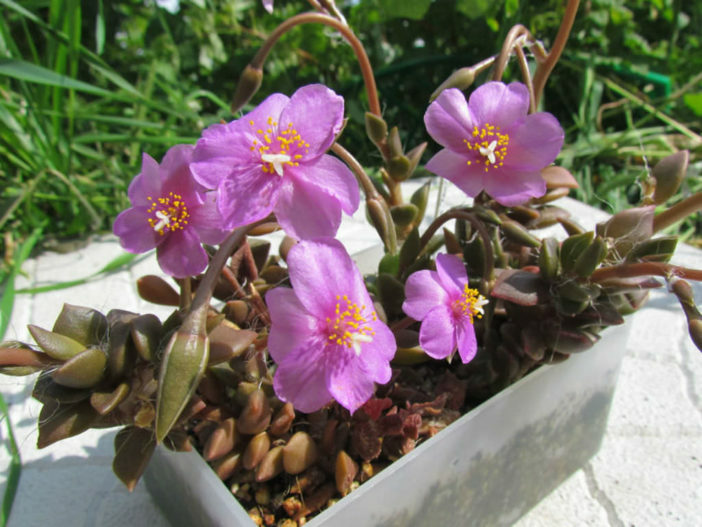 Single flowers arise on up to 4 inches (10 cm) tall stems above the leaves and are pink to rose-purple. 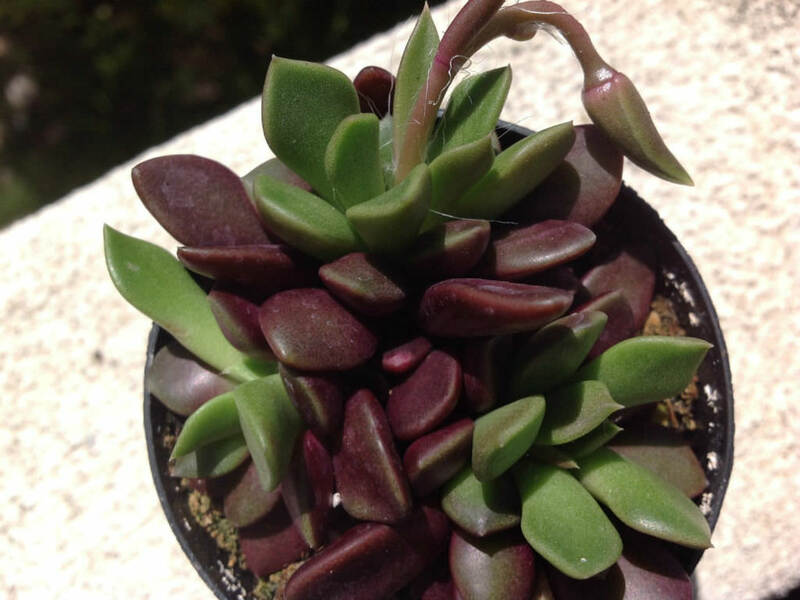 Anacampseros grow well in partial sun with bright light enhancing the leaf colors and keeping them compact. 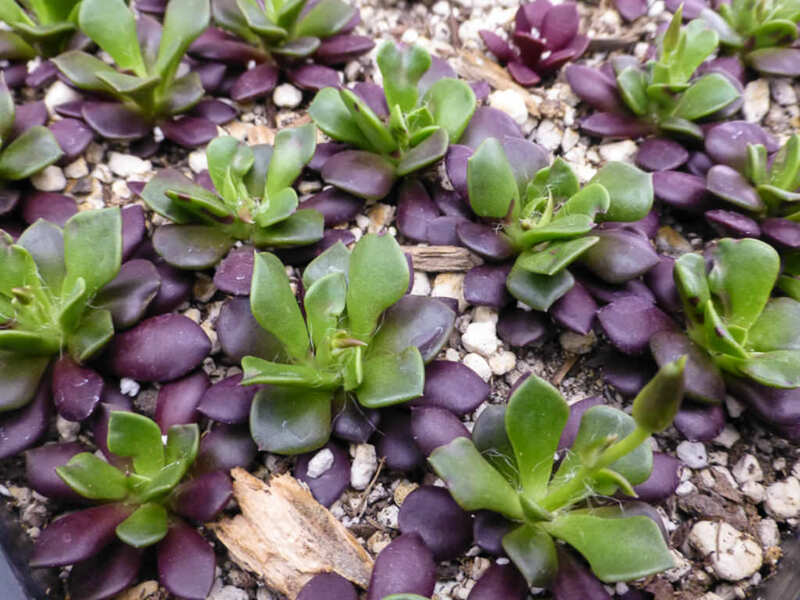 They require a gritty free-draining soil with added organic material and low to moderate watering. The beautiful caudiciform species are prone to rot and should be watered very sparingly. Feed with a high potassium fertilizer during the growing season diluted to 1/4 potency and mix into the watering can for application. 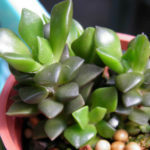 Anacampseros is an excellent plant for container growing. It always looks good and stays small. It look fine in a cold greenhouse and frame. It do well outdoors in raised beds and terraces as well. 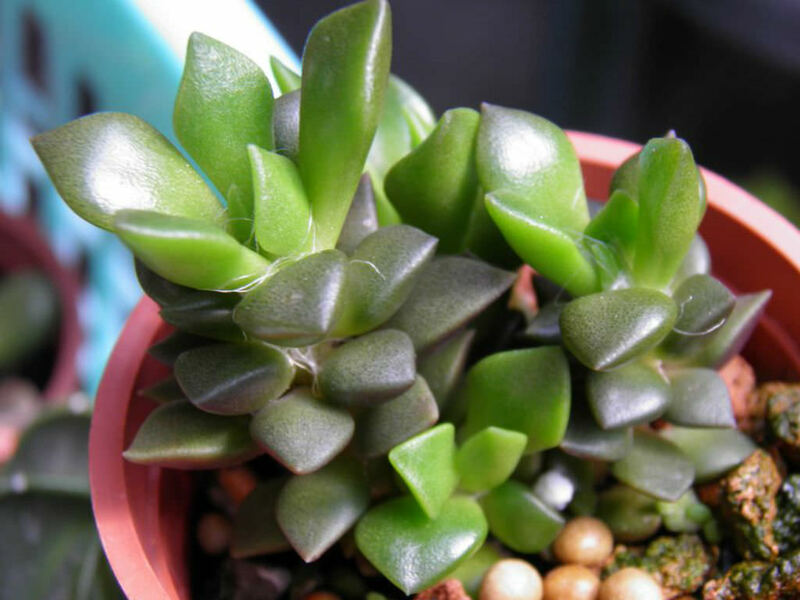 Anacampseros rufescens is native to South Africa. 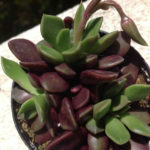 Previous ArticleCan You Plant Kalanchoe Outdoors?